Perhaps because it's so remote and visited so infrequently there are quite a few bizarre and strange legends that exist about San Miguel Island. The westernmost of the Channel Islands, San Miguel Island sits off the coast of Santa Barbara County and is visited by probably less than 200 people a year. It isn't very large, coming in around eight miles long and 3.7 miles wide. 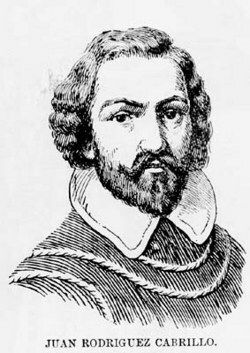 The first European to step food on San Miguel Island was Juan Rodriguez Cabrillo, a former conquistador and Portuguese explorer. He was assigned the task to sail up the west coast. 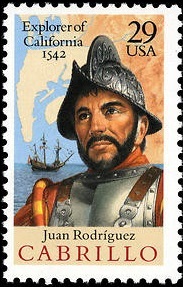 Thus on June 27th, 1542, he set sail, leaving on three ships from the Mexican port of Navidad. He became the first European to navigate the coast of California, sailing up from Mexico, to the San Diego Bay, Channel Islands, the coastlines of both Ventura and Santa Barbara, eventually heading all the way up to the Russian River. At that time he turned around as fall had arrived and he was trying to avoid the autumn storms. Although, like many other explorers he missed the San Francisco Bay, he did stop by Monterey Bay on his way south. On his way south, he decided to winter in the Channel Islands, but Cabrillo injured himself (some accounts say his arm others say leg, supposedly the injury possibly happened from an attack by the Tongva Native Americans sometime around Christmas 1542). Regardless of where the injury was located or how it happened, it became infected and Cabrillo passed away on January 3rd, 1543. Rumor has it that he was buried on San Miguel Island. His crew placed him in a lead casket, wearing his armor, with his jeweled sword by his side, and placed him in an unmarked grave. A few treasure hunters over the decades have looked for his grave site and jeweled sword, but have not discovered Cabrillo's final resting place. There is even speculation that his crew might have buried him elsewhere with Santa Cruz Island and even the Goleta area being other possible locations for where he was buried. His second in command brought the expedition back to Navidad, arriving on April, 14th, 1543. A monument was erected on San Miguel Island to Cabrillo. It was established in 1937 and over looks Cuyer Harbor. 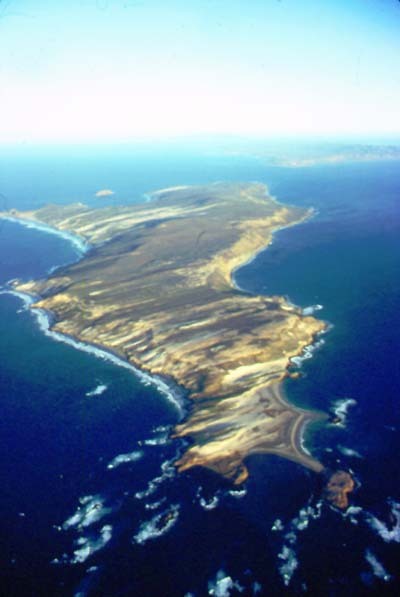 One legend states that as he lay dying, Cabrillo cursed San Miguel Island, cursing it so that anyone who tried to make the island their permanent home would fall victim to a violent death. Coincidentally, today no one lives permanently on the island. 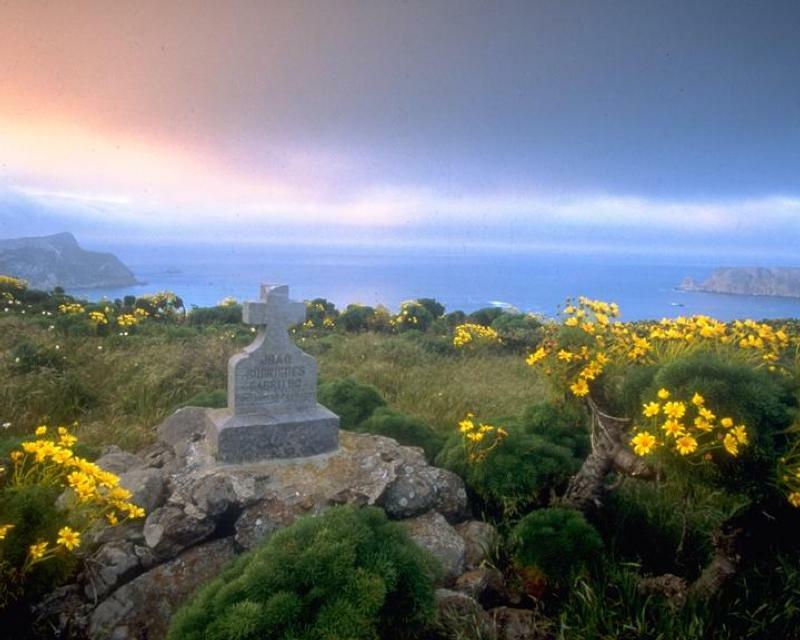 Cabrillo's jeweled sword may not be the only treasure on San Miguel Island. Legend states that a Spanish galleon is also located beneath the waters around the island. The galleon along with over two million in gold coin possibly lies near Point Bennett. Regrettably the rough waters, strong currents, and multitude of rocks beneath the waves have prevented anyone from being able to salvage it. To complicate matters, since 1879, six additional ships have gone down in the area. Additionally the waters around the island are heavily populated with Great White Sharks. San Miguel Island underwent a slight custody discrepancy back at the end of the 19th century. Although the Treaty of Guadalupe Hidalgo ceded California to the United States, according to some stories, it left out the Channel Islands. Supposedly the treaty was redrawn a few years later, but again left out San Miguel Island. In July 1896, in order to prevent Britain from potentially taking over the island, President Grover Cleveland sent out a U.S. Marshall with surveyors to make sure the island was incorporated into the United States. Although there was a series of ranchers on the island from 1850 on, by 1911, the United States assumed control of the island and leased the island to various people. The last was Robert Brooks. Brooks hired Herbert Lester to manage the island. Lester moved to the island in 1930. At some point, Lester proclaimed himself the "King of San Miguel". But sadly, in 1942, he committed suicide. He is buried on the island. His wife passed away in 1981 and she was buried next to him. Robert Brooks was forced off the island in 1948 after the Navy terminated his lease of the island. Brooks's sheep remained behind having free range of the island until 1966 when the Navy ordered them "eliminated". The Navy later used the island as a bombing range. San Miguel Island also plays host to a Caliche Forest. Roots and trunks of ancient plants were turned into caliche through a process where calcium carbonate binds to the soil around the roots. Later the extreme winds of the island blew away the top soil leaving just the caliche casts and root sheaths. 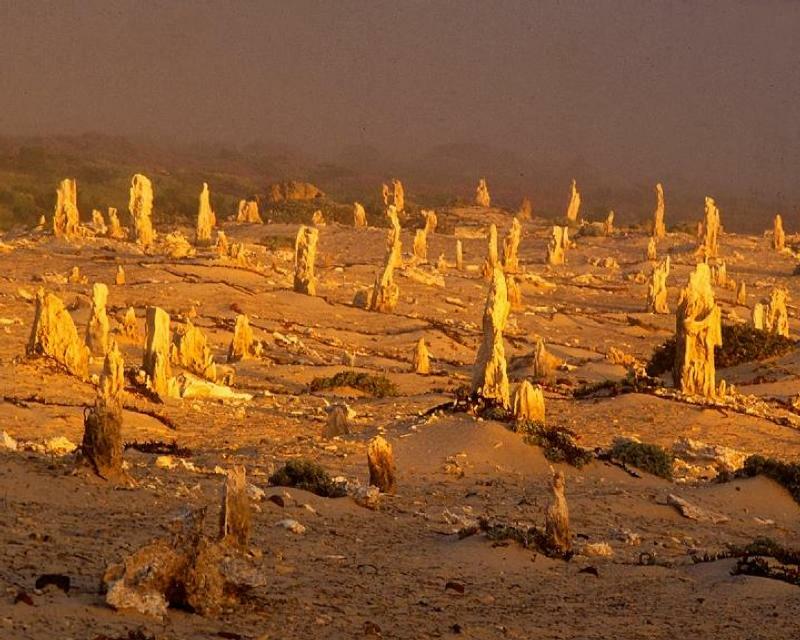 These caliche structures give the appearance of something forest like. Now adays, in addition to the marker located on San Miguel for Juan Rodriguez Cabrillo, Cabrillo has several other monuments and places named after him in honor of his expedition up the California coastline. San Diego has the Cabrillo National Monument consisting of a statue, plaque, and even a museum. Cabrillo also has several streets, a lighthouse, a beach, a stretch of highway, and quite a few schools in California named after him. California even celebrates September 28th as "Cabrillo Day". The United States Postal Service also in 1992 had a 29 cent stamp with Cabrillo pictured on it. Lastly in 2015, the Maritime Museum in San Diego created a replica of the "San Salvador", the ship Cabrillo sailed upon during his expedition. The ghost of Jose Rodriguez Cabrillo is said to haunt the island, roaming the place he discovered and chasing those who would disturb it off his land. Reports have described a ghostly figure in old armor. Is he also haunting the island to follow up on his curse? A B-24 Liberator bomber on a training mission crashed on San Miguel Island during World War II. All aboard were killed. The situation was made worse, as I recall from reading accounts of the it, that a boat with rescuers sent from Santa Barbara sank, with additional fatalies.